“The Wolverine” directed by James Mangold finds our man with claws a few years after “X-Men: The Last Stand”. Wolverine, Hugh Jackman, is living a life away from humanity because, well, he’s just kind of sick of humanity and death. Despite this, a young girl by the name of Yukio, played by Rila Fukushima, seeks out Wolverine, offering him solace and a chance to say goodbye to an old friend. This old friend, played by Hal Yamanouchi, was an individual Wolverine saved during World War II who has since become quite rich and powerful forming the company Yashida, after his own name, and offers Wolverine the ability to be human and normal. During this visit, Wolverine also encounters Yashida’s granddaughter, Mariko, played by Tao Okamoto, his own son Shingen, played by Hiroyuki Sanada, and Viper, Yashida’s personal doctor, played by Svetlana Khodchenkova. 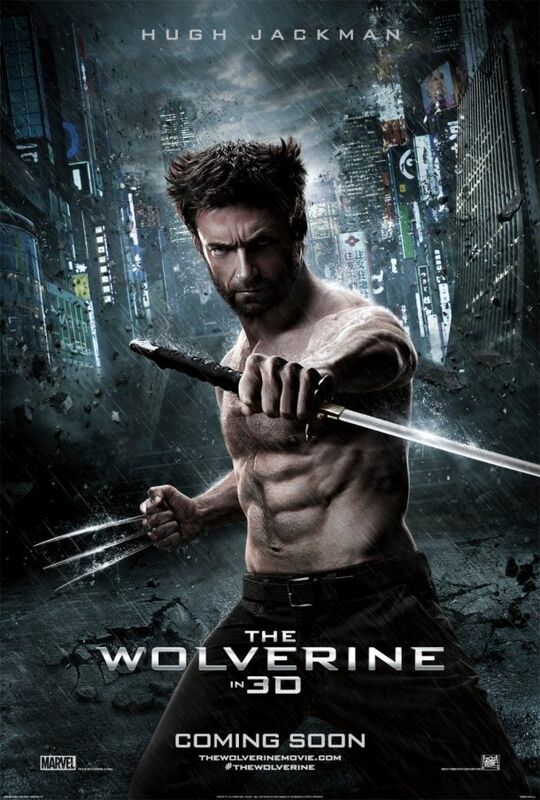 While in Tokyo, Wolverine becomes enmeshed in the Yakuza, family politics, and samurai warriors. In short, this movie was a huge improvement on “Wolverine: Origins” offering a darker version of everyone’s favorite X-Men. Hugh Jackman will forever be known as Wolverine and this role will only help solidify him as this iconic character. One thing I thoroughly enjoyed about this movie, was how it logically flowed from one end to the other. I compared this to “Star Wars” when talking about it with my friends following the movie. Luke Skywalker is shown as a farmer in the beginning of “A New Hope” and is suddenly piloting space ships by the end of it. To look at these instances back to back, it seems like a huge leap, but the movie itself makes sense and you understand how Luke got to where he was. “The Wolverine” begins with Wolverine as a reclusive woodsmen in Alaska and then displays Wolverine slicing and dicing on a bullet train in Japan. Every choice that Wolverine makes to get there, makes sense and this movie truly benefits from it. The darker tone also elevates this movie, because, well, in my opinion, I like darker, grittier, more realistic movies. I like seeing Wolverine struggle with the death of Jean Grey. I like seeing him ram an arrow through a hunter’s hand, and I also like seeing Wolverine pushed to his limits. I like when superheroes struggle and I think this movie benefitted greatly from that. I also really like Yukio. I thought she was a great character who was quite funny and offered a bit of a side kick feel to Wolverine, who, as we all know, never really wants one. She was also quite fierce and I do appreciate a female character who can hold her own in the ring. The one thing I did not enjoy about this movie was that it was a bit predictable. I knew what was going to happen and I knew some very key plot points that I wish I would have been wrong about, but, I still enjoyed this film nonetheless. So, if you have a chance, check out this movie. It was action packed, well acted, and fairly dark.